I tell fun--and not so fun--facts about my backlist, which is coming out on ebook from Dzanc Books REprint series and Open Road Media! My early backlist is coming out August 5th! Meeting Rozzy Halfway, Lifelines, Family and Into Thin Air! And I have a big beautiful page on Open Road Media, where you can check out all the books! All four titles can be found wherever e-books are sold! 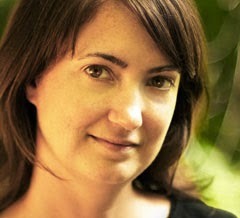 I'm not the only person who loved Sarah Bird's extraordinary novel, Above the East China Sea. The Chicago Tribune called it "richly rewarding," and the San Francisco Chronicle said it was "a stunning account of wartime Okinawa. Bird is a wise and sensitive writer." About two teenaged girls, an American and an Okinawan, both teenage girls two teenaged girls, an American and an Okinawan, the novel follows them through 70 years of profound loss and persistent hope. 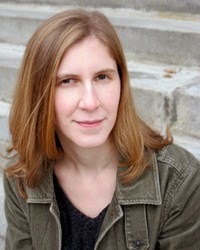 Sarah is the author of eight other novels. She's been selected for the Barnes & Noble Discover Great Writers series; a Dobie-Paisano Fellowship; New York Public Library’s 25 Books to Remember list; Elle Magazine Reader’s Prize; People Magazine’s Page Turners; Library Journal’s Best Novels; and a National Magazine Silver Award for her columns in Texas Monthly. 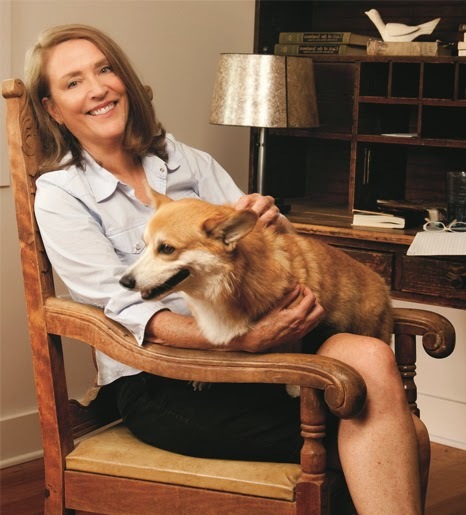 In 2012 Sarah was voted Best Austin Author for the fourth time by the readers of the Austin Chronicle; was inducted into the Texas Literary Hall of Fame; and received the Illumine Award for Excellence in Fiction from the Austin Library Foundation. In 2013 she was selected to be The University of Texas’ Libraries Distinguished Author speaker, and was featured on NPR’s The Moth Radio Hour. She has written screenplays for Paramount, CBS, Warner Bros, National Geographic, ABC, TNT, Hemdale Studio, and several independent producers. Sarah’s screen adaptation of her sixth novel, The Flamenco Academy, is currently in development as well as two original screenplays. She has contributed articles to The New York Times, Salon, O Magazine, and is a columnist for Texas Monthly. Sarah, who moved all over the world growing up with her air force family, lives in Austin, Texas. Besides being an exceptional writer, Sarah is also one of the warmest, kindest people you could ever meet. I think by the time we were through with about four emails to each other, I knew that she was my new best friend. I cannot thank you enough, Sarah for being here! This is an extraordinary novel, and though I’ve loved all of your previous work, this one feels bigger, richer, more complex. It’s racking up tremendous raves, including my own here. How terrifying was it to write something this complicated? Thank you, Caroline, it means so much that a writer I’ve admired for years thinks the best book I’ll ever write works. What was terrifying about writing it was the sense of obligation I felt once I accepted that there was no choice, I had to tell this story, the story of the Okinawan people, that has been with me almost fifty years ever since I lived on the island in the late sixties with my air force family. The material demanded that I be a bigger, richer, more complex writer than I was, and, in my own fall away Catholic girl way, I prayed that I could do this story justice. I actually like to think that I turned myself over to the kami, the spirits that guide Okinawan believers’ lives. It was also scary to let go of my safety blanket of irony. My default setting is fairly ironic and this book demanded an open-hearted, unshielded approach. Surrender, actually. Did anything surprise you as you were writing the novel? I had more surprises writing this novel than I have had with any other. The biggest was the unexpected path that opened up and allowed me to weave the book’s two stories together. I was very committed to telling both the story of what the Okinawan people have had to endure both as a colony exploited by Japan and, since World War II, as a pawn of the Pentagon and the story of a contemporary military kid who has to face different and frequently more difficult challenges than I did. I really wanted to connect the stories of two girls, one a modern American, one a World War II-era Okinawan, to show how their country’s hunger for empire utterly shaped their lives, but I didn’t know exactly how I was going to do that. The answer that finally came to me did grow out of a colossal amount of research, but it was also a huge surprise and the finest gift I’ve ever received. What was the research like? I know you grew up on air force bases, so how much of your own experiences came into your novel? Yes, my childhood years on air force bases, especially overseas, was the foundation. But I was woefully ignorant about Okinawa’s majestic history and her troubled relationship with both Japan and the United States. Thankfully, I live in a city with a world-class university library system and was able to lay my hands on loads of first-person narratives by Okinawans who survived the war, as well as translations of Okinawan literature. There was nothing on the shelves of any use about my modern air force kids. My background and impulses are in journalism, and I might well have flown to Okinawa to do interviews except that if I’d shown up in all my old lady glory I would have gotten exactly nothing. Youtube to the rescue! I found an entire channel called Planet Oki dedicated to the hip-hop scene on Okinawa. These were my kids, my Smokinawans, and I just let them unfold in front of me. I also came across lots of video diaries of young recruits going through basic training and those were very useful as well. I had several other amazing research experiences like drinking habu awamori, a distilled rice liquor with a deadly, and, obviously very dead, habu viper coiled at the bottom of the bottle and the magical appearance of the world’s Okinawa expert, Steve Rabson, who was beyond generous in helping me. Did you map out the story ahead of time? How much of the novel did you know before you started to write? Oh Caroline, how the writing gods lead us on! I started off thinking I knew the entire story. I was going to write a simple novel, maybe even YA if I got it right, about an air force kid newly arrived at Kadena Air Base on Okinawa. As soon as I started in on that, however, my memories and what I knew about Okinawa exploded and took me down a path that led to places I could never have imagined when I started. Both your heroines, Luz and Tamiko contemplate suicide, but for very different reasons, which I found fascinating. Can you talk about this, please? The issue of suicide looms large over both Okinawa and the American military. There is a continuing controversy between Okinawa and Japan about compulsory suicide, the large numbers of Okinawan civilians that the Japanese forced to commit suicide rather than surrender to the Americans at the end of World War II. What is not disputed is that the Japanese propagandized the natives into such a state of fear that thousands of them killed themselves rather than face the demonic beasts that they had been led to believe Americans were. I stood at the place where both girls start their stories. It’s called Suicide Cliffs and is famous for the huge numbers of Okinawan girls who jumped one hundred and feet down into the East China Sea from that spot. Our military is trying to deal with an epidemic of suicide in its ranks. As my protagonist Luz, only child of a single mom whose beloved older sister has just been killed in Afghanistan, learns from an army study one of the major predictors for suicide is not having an intact family. Bereft about her sister and shorn of any support or connection, Luz’s discovery of the deep “connectedness” among Okinawans, not just among the living, but the dead as well, has a profound and profoundly healing impact on her. So much of this gorgeous book is about the ways that culture, time--and human bonds--can save or transform us when we are facing unimaginable loss. Please talk about this, too. Yes, the experience of deep loss runs through all the characters. Luz has a crush on the prince of the Smokinawans, Jake Furusato, who is her guide to Okinawan life and beliefs, especially the belief that the dead remain with us forever, guiding us and intervening in our lives as long as we, the living, continue to honor them through rituals like burying them in the proper way and tending their tombs. “Furusato” means “homesick” in Japanese. In Okinawa this word takes on an added poignancy when it is applied to the kind of homesickness a person feels for his village, his ancestral plot of land, the tombs of his ancestors, which were seized by the U.S. military after World War II to be used for one of the bases that occupy one fifth of the tiny island. It refers to the special pain of being able to see where your home once was, now on the other side of a barb wire fence, yet never being able to return, not even to fulfill your obligations to your ancestors. Sorry, that doesn’t really answer your question. I’ll just say that the mother of my Okinawan protagonist Tamiko expresses the wisdom that ultimately saves her daughter and a military kid she never knew. It is contained in the Okinawan saying Nuchi du takara, life is the treasure. What’s your writing life like? Any rituals? How do you work with the usual anxiety every writer I know faces? Because I am an obsessive sort of person, I always knew that if I were going to be a writer, I’d have to dive in and be as ritual-free as I possibly could. Being a journalist also helped me learn not to be too fussy about when and where I worked. I have to add that my husband would hoot great gales of laughter at what I’ve just written. And he’d be right. He retired recently, so after having the house mostly to myself except for when our son was little for most of the thirty plus years I’ve been a writer, suddenly there was another presence around. God bless him, he tried to be quiet and stay out of my way, and I thought I was muddling through. Except for the fact that nearly every time he’d appear beside my desk I would shriek like a crazy woman. That was when I became aware of the altered state I go into when I’m working. Pretty soon, fear of these abrupt awakenings stopped me from getting into that state, and I wasn’t working, and I wasn’t happy. Really wasn’t happy. So now, he either occupies himself out of the house or I hole in a far back bedroom and write in bed like Voltaire. Thank you for saying that about all writers being anxiety-ridden! Gads, how do I work with that? I’m in a rare moment of bliss because there’s nothing more I can do for Above the East China Sea and after months of torture and extensive false starts on three entirely different novels, I’ve finally settled into a new book. It was wonderful once I achieved that state of grace where I stopped “running ideas by” long-suffering friends and my editor and the book I was going to write made itself known to me. I was sure it was The One because I didn’t ask for anyone’s opinion, didn’t care that it’s not commercial, and almost don’t care if my publisher will buy it, this is the book I’m going to write. Whew. So, I guess I deal with the anxiety by hanging onto the memory of moments like these when the fog clears, the gas wears off, and I remember why I’m a writer and would never be happy doing anything else in life. Eeek, there’s a dangerous question. Caroline, I think I’m already going really long. I’ll come back to this if you like, but I’ve probably taken too much space as it is. Sarah, I can’t help but noticing how envy-free you are. How did you arrive at such an elevated state? Why, Caroline, I thought you’d never ask. I actually am excited about this. You in particular seem more evolved than I am and unfailing in your support of other writers, but I was cursed with being jealous of others good fortune. I hated feeling that way so much that, a few years ago, I went to a therapist about this problem. She wanted to dive into whether I’d had to compete for my mother’s love. Given that I was a shy, neurotic kid with five siblings, I saw this taking a lot longer than I wanted. So I read self-help stuff and just tried to be a better person. Not much luck. A friend would get a full-page review in the Times and it was a knife in my heart. How unattractive is that? So, here’s what finally cured me: I found out that envy is not just one of the cardinal sins but often regarded as the worst of the cardinal sins. Perfect. This information plugged right into my prewired Catholic girl circuitry and, man, overnight, gone. I also got some technological help in the form of a free piece of software called LeechBlock. No writer should be without. It’s better than a total Internet block because don’t we all have to ask Shri Googlenami many legitimate questions all day long? But now I’ve blocked the sites that seem to exist solely to foster envy. Yes, Amazon and Facebook, I’m talking about you, and I’m happier and more productive. And, big bonus, not going to hell. Caroline, thanks for the great questions and for being the higher order of writer who is amazingly supportive of other writers. When a young woman's brother is accused of murder, she goes into action to try to save him--even though her own life could use some salvation, too. Brilliant plot, right? 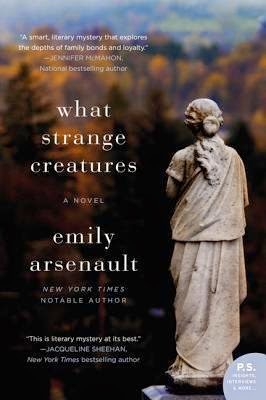 Emily Arsenault's latest is a tense and witty read, but so are all her other novels: The Broken Teaglass, In Search of the Rose Notes, and Miss Me When I'm Gone. I'm so jazzed to have her here. Thank you, Emily! Come on, who hasn't read and worshipped BITTERSWEET, Miranda Beverly-Whittemore's astonishing New York Times bestseller about outsiders and class. She's also the author of The Effects of Light, and Set Me Free, which one the Janet Heidinger Kafka Prize for the best book of fiction by an American woman published in 2007. She's also the winner of the Crazyhorse Fiction Prize, and I'm so honored to host her here. Thank you so much, Miranda. Oh thank you so much! 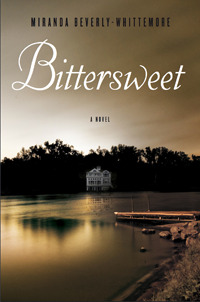 Long before I started to think about Bittersweet in a concrete way, probably long before I started writing books at all, I fell in love with a certain kind of book, and, as I started to read more widely, I realized that every time I read a book with the same thematic premise—an outsider longing to get “in”—I felt a kind of electric recognition. I found myself obsessed with/ in love with this central notion, and the push/pull of wanting the outsider desperately to get in while also knowing they’re going to have to pay for belonging. I’m talking about books like The Great Gatsby; The Line of Beauty; Brideshead Revisited; Atonement; The Emporer’s Children; The Secret History. Perhaps you’ll notice that in all those books, the outsider is a young man, so I suppose I believed that I might have something new to add to the genre with the creation of Mabel Dagmar. Because I usually come at novels from a few different angles, and all angles to sing for me in order to want to actually write the damn thing, I also knew that I wanted to write about the place where this book is set, which is a real place I’ve been going to my whole life and love with all my heart. It’s funny to me that I could turn such a benign spot into something out of a dark fairy tale, but it’s true that the sense of menace the book might hold didn’t become clear to me until I realized that’s where this story was set. Because this novel is so artfully constructed, I want to ask, was there ever a moment when you had no idea what you were doing, or you worried that you had lost control of it? I find that no matter how well planned or plotted a book is, there is always that moment when it turns into a growling monster above me and I wonder what I’ve wrought. I didn’t set out to write a “thriller” per se, and at first, the book kept crawling into that territory. Once I relaxed a bit and stopped trying to reel it back in, I allowed myself to understand that that thriller aspect of the book was a strength, and not something to fight against. What do you think writing this novel taught you? I come from a literary fiction background, which means I’ve always felt pretty self-conscious about my propensity for big plot. Because I’d had a hard time selling a couple of books before I wrote this one, I was feeling a bit more adventurous (…or desperate), and I realized that I wanted to try my hand at writing a book with polished sentences that also went for it in terms of plot. I decided to embrace the idea that my next novel could be both commercial and literary, and in doing so, adopted the belief that there was someone out there who would want to (and know how to) market and sell a book with both elements in it. I suppose that in embracing my strengths as a novelist (and not feeling as though I had to kind of downplay them anymore in order to be “cool”), I remembered how much fun it can be to write a book. I know that’s not really cool to say either—we love the idea that writing a book is all blood and guts (and certainly, there were real wrestling matches I had with Bittersweet)—but I’ll be honest that for the most part, writing this book was a real pleasure. A friend of mine said that she felt like she could hear me laughing as she read, and that made me so happy to hear. I loved reconnecting with that pleasure principle, and I think readers are as well. Without giving anything away, I want to comment on the brilliant fast forward at the end. At what point did you know you were going to structure the novel that way? I always knew this tale was being told from a great distance. The space between the immediacy of the action and the telling of it was how I came to know who Mabel was, because so much of this novel operates based on how she chooses to present the facts. That said, the ending has changed a lot; this is the third version of that “fast forward” ending. The first version was much more dystopian, and my agent encouraged me to rethink it before we sent it out. So then I went back to the drawing board and ended up with something close to what we have now, but—without giving anything away—the ending was much less satisfying. I owe my editor for being the one who pointed this out, and all before she became my editor, after she’d spent about 12 hours with the book. She contacted my agent that she loved the novel and had dreamed about the setting the previous night, but that she disagreed with my ending, and would be willing to take another look at the book if I wanted to revise. So I spent the next two days rewriting the last fifteen pages or so. Up until that point, the ending had never felt quite right to me, even though I knew that tonally it wanted to be told from a fast forward. Once I got Christine’s notes, not only did I know that she had to be my editor, but I realized I’d finally discovered how to end this book. What’s your writing life like these days? Because I had such a hard time selling another book after my second novel, Set Me Free, was published in 2007, I promised myself that if/when I sold another book, I’d devote myself for a year to the cause of getting the word out about it. I had a clear sense that Bittersweet might be my “last chance” and I didn’t want to squander it. There have been many upsides to that decision, but that downside of it, of course, is that I’ve had to take a major break from writing in a daily way in order to do all the social media and outreach I’ve agreed to. I’m thrilled that I just sold my next novel, JUNE, and will be writing it over the course of the next year, and it’ll be interesting to see what the shift back into daily writing will be like. My family life will change too, because for the first time since my son was born five years ago, he’ll be in school five days a week. I’m looking forward to hunkering down back into language and closing down the social channels I’ve opened up this past year, or at least putting them on pause for a bit. I’ve been working a lot on being in the moment. Maybe it has something to do with finding myself, all of a sudden, with a kindergartener. It just seems like time is slipping by so quickly, so I’m putting down the smartphone and computer and spending time playing or talking with the kiddo, appreciating the parts of the world, and people in it, that I’m lucky to know and love. I’m also on a declutter kick, obsessing about getting things out of my house. That’s something else that happens when you have a kindergartener: you realize you have accumulated a LOT of crap.